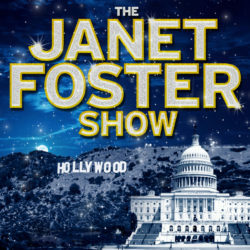 Podcast – Page 2 – Welcome to the official website for journalist and host, Janet D. Foster. A news show for GenXrs, Millennials and the cool Baby Boomers who are moderate and independent thinkers. The show features local, state and national organizations as well as everyday people stepping up as activists advocating for issues and concerns that are current events, business, personal development, public policy and entertainment related subjects. Discussion and commentary about yet another mass terrorist shooting in America. The continued tap dance in congress to protect gun manufacturers has not missed a beat as usual after these types of incidents. Discussion and commentary about the poor response of the Trump administration to aid the American Territory after Hurricane Maria. The nonsense tweets and the role of the Jones Act that has crippled the island long before the humanitarian crisis that has now physically destroyed the island. Commentary about the companies making profits off of the negative circumstances of war and imprisonment. Discussion of companies part of the Prison Industrial Complex and Military Complex. Commentary about the Equifax data breach and steps for consumers to not only protect themselves but also contact congressional officials for regulation for more responsible management of the public’s information. Discussion and commentary about the recent elimination announcement of the DACA Program from the Trump Administration. Discussion and commentary about Hurricane Harvey and the latest with the special investigation about the Trump Campaign’s ties to Russia. Discussion and commentary about how we need to step up and put racism and racists in their place – out of this country. Commentary about the Southern Poverty Law Center’s efforts to empower the public about dealing with this horrible social problems that continues to infect so many in America. Discussion and commentary about the deadly incident in Charlottesville, VA where three lives were lost as a result of racist hate groups gathering to incite violence and promote white supremacy in America. Discussion and commentary about the recent controversy surrounding HBO’s consideration for Confederate, a show with an alternative ending portraying the south winning. Review of the new proposed show being backed by Amazon “Black America” which seems to be the clap back to HBO’s project. Also, a movie review of the South Korean film “Battleship Island”. Discussion and commentary about the latest staffing changes in the Trump Administration. Listener social media call to action, give us your thoughts about the changes.